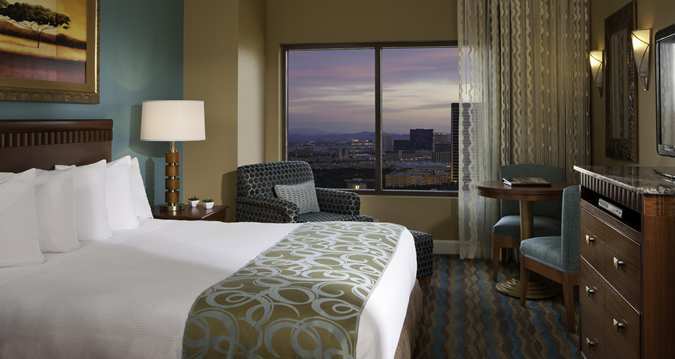 Hilton Grand Vacation Club on the Las Vegas Strip is 28 stories and sits on 10-acres of prime real estate at the north end of the Strip. 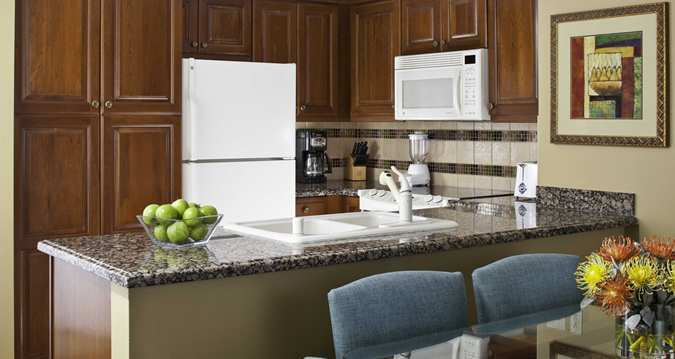 This 283-unit resort features one-, two-, and three-bedroom condominium-style timeshare suites, and studio units. No expense was spared when furnishing these units, with an upscale collection of entertainment amenities including a 32" TV in the living room with a Bose surround sound theater system, DVD player, and high-speed Internet access. 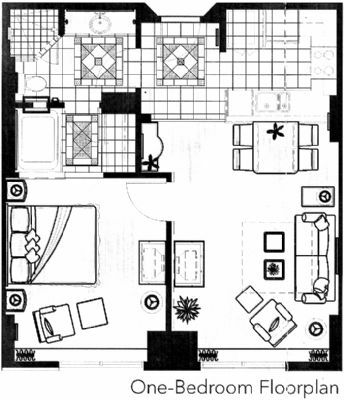 One-, two-, and three-bedroom accommodations feature fully-equipped kitchens designed with granite countertops, elegant wood cabinetry, and an extensive variety of culinary tools and high-end appliances. Chic bathrooms feature frameless glass showers and oversized tubs. For added convenience, units also feature a washer and dryer. The resort's guest amenities include a serpentine pool and whirlpool spas, and an interactive water feature designed with an array of playful fountains exclusively for children. A state-of-the-art fitness center is superbly equipped with StarTrac cardiovascular equipment from elliptical machines to recumbent bicycles. The Waves poolside bar and grill, the Marketplace deli and sundry store, as well as picnic areas and barbecue grills are also on site.